There is a system of identification that, according to some authorities, will make P.I.N. numbers, passwords, and other forms of identification obsolete. Its called Biometric Identification. Everyone is familiar with the most commonly used form of this type of identification--fingerprints. However, there are some others that are even more accurate than a fingerprint. Face technology looks at a scan of the entire face utilizing 50 points around the nose, mouth, eyes, brow and jaw. The weakness of the system is, of course, identical twins, but growing a beard or putting on weight will also alter the facial structure. The hand, like the face, is another identification system. It has unique geometric shapes and sizes. Most of us are familiar with voice prints and, of course, DNA, although the latter is not practical at this time to be used at an ATM or at the supermarket. 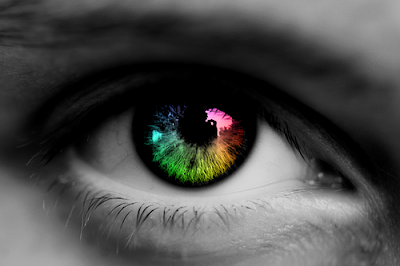 The most technical biometric identification to be used is the iris of the eye. While a fingerprint has only 40 measurable characteristics, the iris of the eye has 266. Even if a third of the information is mismatched, it can still make a positive identification. We are truly unique individuals. Just as there is a uniqueness about our face, our iris and our fingerprint, there is also a uniqueness about the inside workings of our body. No two people are alike as far as physiological needs. One person’s insulin needs are different than another person’s. Even the exact quality of the insulin is a little different. Two people may eat the exact same meal but the digestive juices necessary to break down that meal and make it useful to the body are totally different. Every person’s blood chemistry is slightly different. Our caloric intake needs vary from person to person and within the same person from day to day. There are literally millions of different measurable characteristics within human beings. How could any doctor know all these needs for any one person let alone for all his patients? The fact is that he cannot. The worst that can happen with biometric identification is a case of mistaken identity. The worse that can happen with a mistake in knowing what a person’s internal, chemical needs are is death, and that happens thousands of times a year. We simply cannot know the unique biochemical needs of the body. That is why medicine is not as much science as it is an art. It is making educated guesses on a daily basis regarding people’s health. 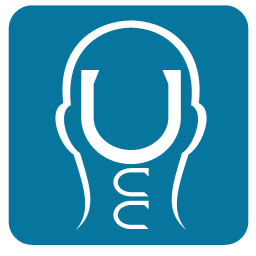 The Upper Cervical Doctor does not attempt to conform a person to a standard or norm, which is really unknown to the doctor. Upper Cervical Care recognizes that the body has a self-regulating, self-normalizing mechanism to it, what we call an innate intelligence. It is this self-regulating principle that has stored these millions upon millions of unique characteristics and needs and can meet those needs on a moment-by-moment basis. The problem with biometric identification is that it cannot adapt if you put on some weight or change the features of your face. The innate intelligence of the body, however, can adapt to changes in your body as well as changes in the environment. To accomplish this adaptation a communication system is necessary. That system in human beings is the nerve system. If it should be interfered with, due to head/neck misalignment then that which is uniquely you cannot be expressed freely and fully. The objective of Upper Cervical Care is the correction of this interference. I really appreciate the variety of articles you post! And I often tweet them to my twitter followers and copy links on my Fb page and blog. Keep up the good work of sharing #UpperCervical care with the public...more people need to know.